Why do lizards have blue tails? I found this little guy hanging on the wall outside my office the other day, and he obliged me with one photo (but then got skittish and ran away). This is Plestiodon fasciatus, the five-lined skink, which is extremely common in the eastern U.S. We have several that live on our porch. I see them at least once a week. My lizard friend reminded me of a fantastic study I heard about years ago at an Evolution conference. The paper was published by Watson et al. in Zoology in 2012. 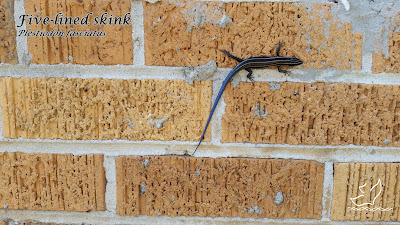 The basic question is, Why do lizards have blue tails? One reason animals develop strange colors is for mating. Another possibility is that they might give the animal some kind of protection. The protection idea is especially interesting, since these lizards can blow their tails when attacked. It's called autotomy, and the tail wiggles around after it detaches. This wiggly tail presumably gives predators a decoy to distract them while the tail-less lizard gets away. But why would a tail be blue? Some of you know that I've been writing a textbook over the past year. It's called Introduction to Science, and it's intended to explain the basic operation of science to high school students. So I've tried to write very simply, which has been quite a challenge for me (as you might guess). I keep discovering that my vocabulary has matured considerably since I was in ninth grade. Go figure. Anyway, Core Academy just finished printing up a small run of the book for use in two high schools this school year. I'll use their feedback for more revisions. Check out the press release from Core Academy, and then visit the Introduction to Science website for a sample chapter. And now I must begin my class for the morning... Have a great day! When Core Academy launched in 2013, I wasn't sure what to do with the old CORE library. I knew we had something important in the library. 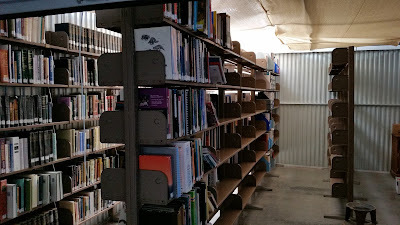 It was a valuable resource, and it is one of the few such libraries that is publicly accessible. But I wasn't sure the new Core Academy would be able to support it and keep it growing. 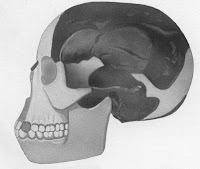 Headlines all over the world are trumpeting the notion that the Piltdown mystery has finally been solved. They are all referencing a new study of the Piltdown remains published by De Groote et al. in Royal Society Open Science, in which the authors conduct some new analyses of the most famous fake fossil in the history of science. Once again, contrary to the hype, they did not solve the mystery. If you actually read the paper, their conclusion is that one suspect is just "most likely." 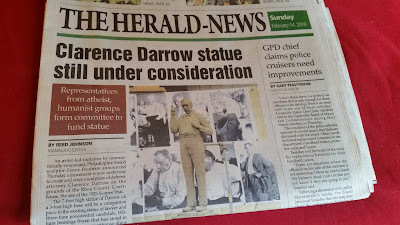 Yesterday, the Chattanooga Times Free Press published a piece on the effort to erect a statue of Scopes trial defense attorney Clarence Darrow on the courthouse lawn in Dayton, TN, where I live. The headline is In 'Scopes Monkey Trial' Home, an Evolution Debate Rages on. When I first read that headline, I thought, "Oh no, what did I miss?" Then I realized that it was the article on the Darrow statue that I'd already heard about. So what is this debate that "rages on?"